If you're not already familiar with Pink Parcel, you're missing out. 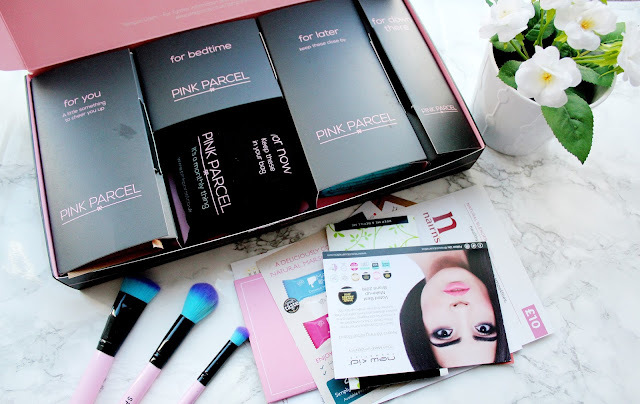 Pink Parcel is a monthly subscription box which sorts you out at that time of the month. When it comes to my time of the month, all I want is a little pamper and eat some junk food. This box has been a life saver for me this month. I think if you're looking for a good (and practical) box to treat yourself to at that time of the month this box is for you. You can make sure your box comes right when you monthly cycle normally begins too as they have three dispatch dates you can choose from each month. You can sign up and receive your first box for £9.95 including P&P. 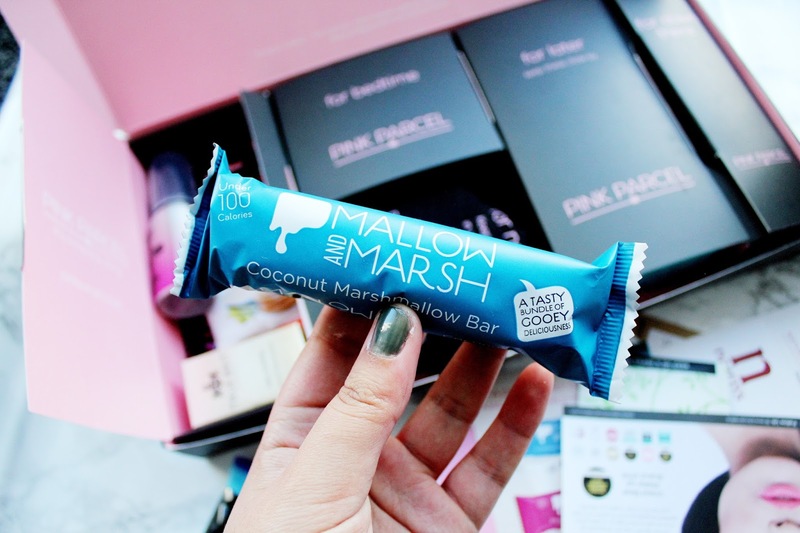 This months Pink Parcel has a lovely array of treats from lifestyle to beauty to the monthly essentials you need for your period. No matter the length of your cycle, you can ensure this box will sort you out as there are more then enough samples in this box. You can choose between receiving pads or tampons from a wide selection of brands. Alongside your sanitary towels/tampons each month there's a product which will help you take care of your down below area. This month it's a purifying cleanser from SASS. The SASS purifying cleanser has been created to help you feel fresh throughout the day. 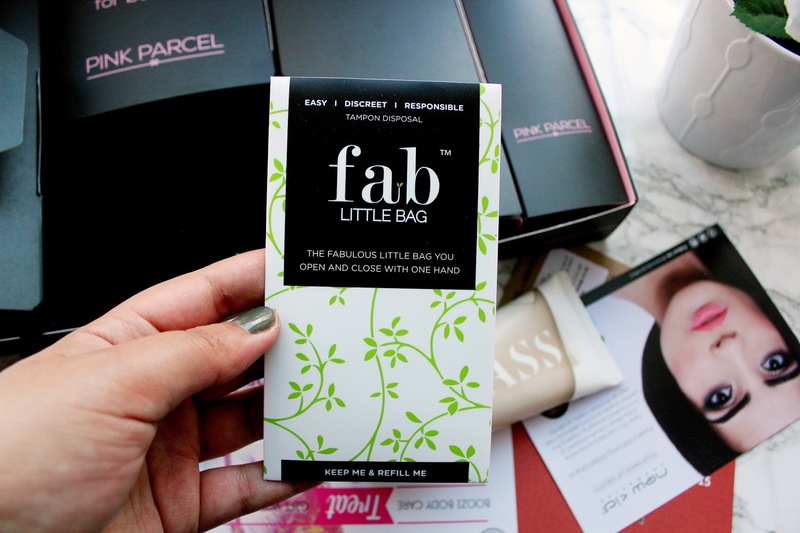 The month box also includes a Tampon disposal bag from Fab Little Bag (RRP £1.99) but if you don't use tampons these can also be used for liners. 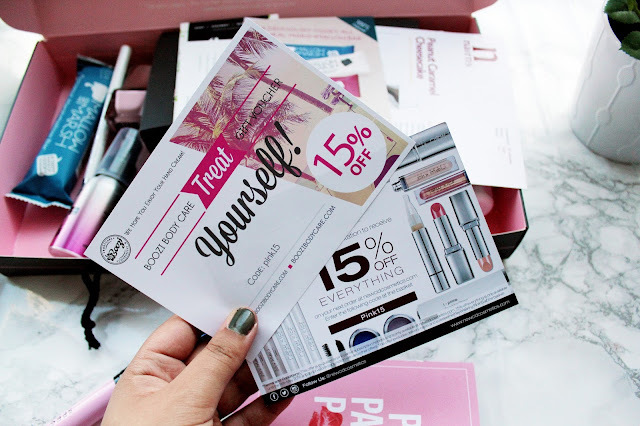 Each month includes a box for you which includes 4 beauty treats. 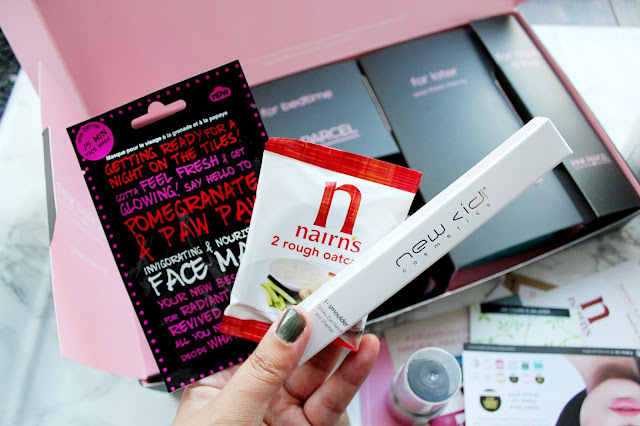 This months box includes mask from NPW Pomegranate & Paw Paw (RRP £1.85) which is an essential for when you're having that time of the month. I love using face masks at least once or twice every week. This face mask left my skin feeling fresh and it smells amazing which was the perfect treat I needed. Another product in this months box comes from New CID cosmetics which is a Ismoulder eyeshadow pencil (RRP £18) in the shade 10 sapphire. This eyeshadow pencil is really pigmented and it's great for blending for a bold eye look. This months box also included Boozi Body care hand cream (RRP £3.95) which is perfect for when your hands need some TLC. 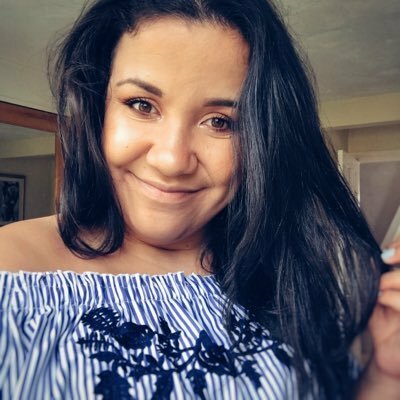 Some of the scents in the range include Pina Colada, Cheeky Woo Woo and Virgin Mojito. The last beauty product in this months box comes from True Brit London and it's a gorgeous baby pink nail polish (RRP £12.50). This nail polish has been created especially for Pink Parcel subscribers which make it a great unique addition this month. This box also includes a range of sweet treats and healthy treats including Mallow and Marsh Bar, Tea Pigs tea and Nairn's rough oatcakes. 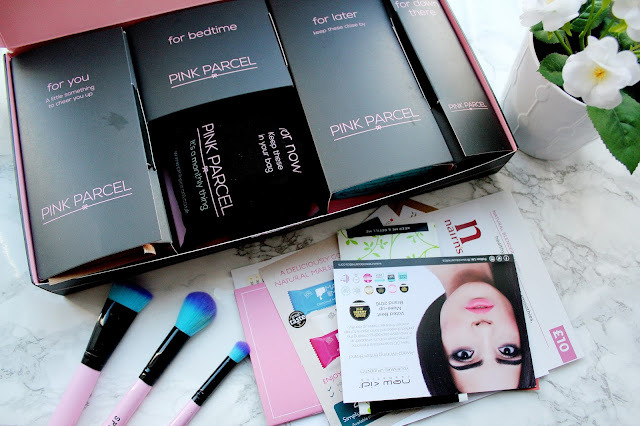 Each Pink Parcel box also includes voucher codes so if you like anything and want more in each box you can save a few pennies! 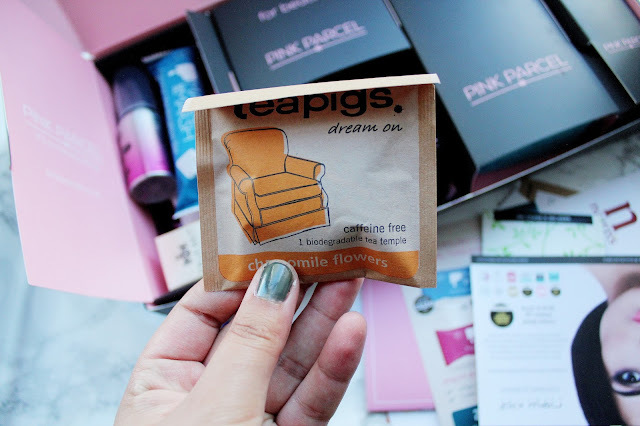 My overall verdict of this box is it's great to have a box which takes care of you when your having your monthly period and to be able to treat yourself, pamper yourself and take care of the monthly essentials you need. I definitely think it's worth signing up, even if it's a one off box as it's always good to treat yourself right? 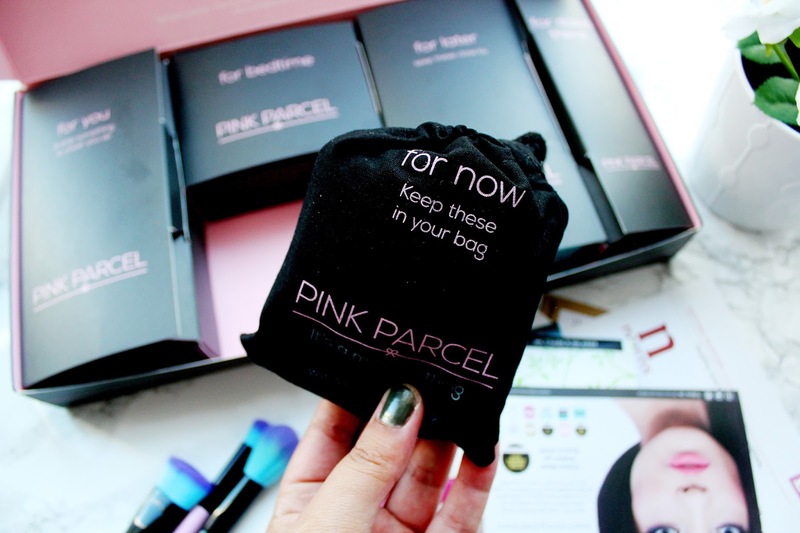 You can get your first Pink Parcel box for only £9.95 here. Everything looks so adorable !